“I cannot think of a better woman to entrust with documenting life’s meaningful events. Gracie brings such kindness and ease, and natural talent! Her eye for beauty and keen sense of people make for an unbeatable combination. 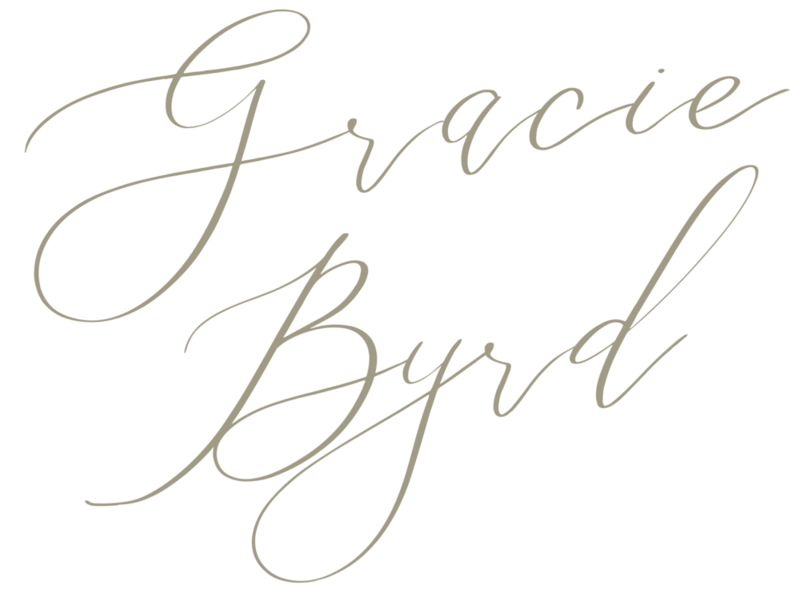 As an event stylist myself, I have seen many wedding photographers approach the day with an autopilot checklist, but Gracie approaches as a passionate artist and documentarian. My husband and I are still blessed by our wedding photographs, and we would recommend her with the highest thumbs up we could possibly give.” Mallory M.
“My husband and I were instantly put at ease with Gracie's kind presence. She was the perfect photographer for our special day. Leading up to our wedding, she helped us best plan for everything from the organized family shots to the smallest details we wanted to capture. We felt completely trusting of her to capture this once in a lifetime day! A true beauty inside and out - her aesthetic and style truly wowed us. Can't recommend her highly enough! Wish we could do it all over again!” - Hannah T.
"Gracie approached her work very professionally. Her wedding party and family shots were creative and fun. She also made sure to photograph all of the guests which was important to us." -Rebecca D.